PID Controllers are easily the most common type of controller in industrial applications, and appropriately tuning PID controllers is one of the best ways to improve the performance of industrial processes. SimTune provides a simple and safe way to learn, practice, and even train others about PID tuning principles and techniques. To accomplish this, the SimTune software offers a library of simulated process scenarios on which to experiment with PID tuning parameters as well as other fundamental and useful PID configurations. Each activation lasts 1 year. A Pre-Activated option is available for colleges and universities (more information below). APMonitor’s Temperature Control Lab Arduino kit is a powerful and convenient tool for learning PID control as well as Advanced Process Control. It is an Arduino device that has been prebuilt with two temperature control components (2 heaters and 2 temperature sensors). SimTune for TCLab provides two I/O modules that interface for PID control with this kit. Simply plug the TCLab kit into your USB port and open the desired I/O Module. To ensure compatibility, be sure to select Python as the Arduino Firmware when ordering your TCLab kit. The SimTune activation unlocks all built-in features. This means that it includes the features from the Demo Mode as well as the TCLab I/O Modules. 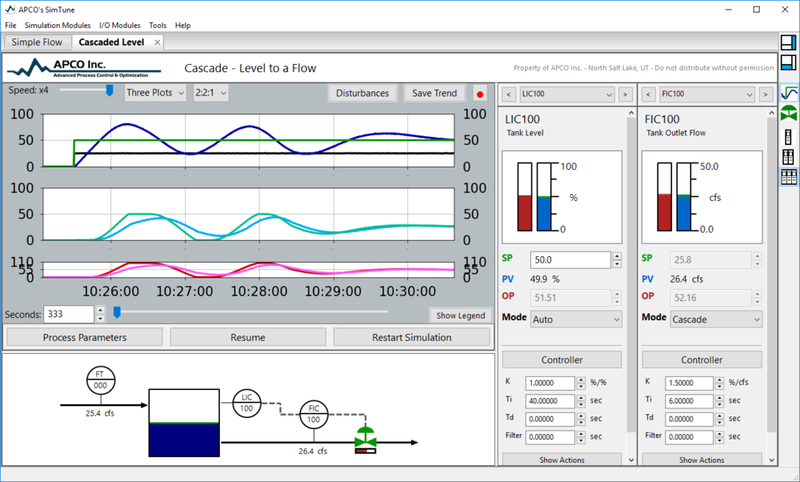 In addition, it provides the full library of Simulation Modules, the complete capabilities of the Process Model Identification Tool, and the PID Action View. This option has not been developed yet, but we understand that some people may be interested in a deeper training on PID Control. If you are interested in a version of SimTune that includes an Advanced Training Series, please let us know. If there is enough interest, we’ll start working on it. Pre-Activated SimTune For Universities: We would love for universities to provide their students with access to SimTune. For this reason, universities have access to purchasing Pre-Activated versions of SimTune for use in their computer labs. The Pre-Activation makes it easy to install the software on groups of computers, without having to individually activate each machine. Just choose the Activation you want and we will Pre-Activate it for you and send you the installer file. Pre-Activated seats will include an additional charge to the normal price. Universities are welcome to contact us to request Pre-Activated SimTune software. *To ensure compatibility, be sure to select Python as the Arduino Firmware if ordering a TCLab kit.